The fine firefighters of San Francisco rescued this scared little fella from a burning apartment building on Tuesday. 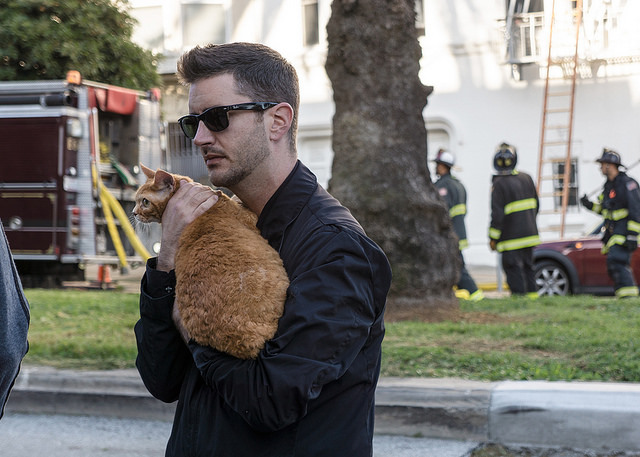 As SFist reported earlier, SFFD was especially good at making sure all the building's pets were safe. Odd Fellows Building signage, shot by Troy Holden.